The month of June is dedicated to the Sacred Heart of Jesus. 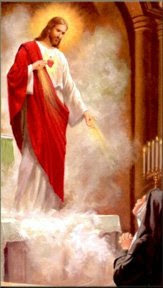 In addition, the Solemnity of the Most Sacred Heart of Jesus is celebrated on the Friday following the Second Sunday after Pentecost, which will be June 19th this year. So, this week's Summer with the Saints was given in honor of the Most Sacred Heart of Jesus. 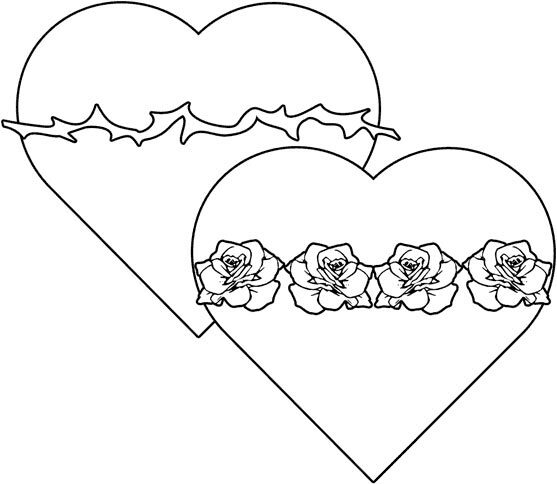 Coloring pages can be found here and here. When my kids were little, I used to think I was the most energetic and crafty mom around. You have me beat by a million miles! Love your site, keep up the great job with the kiddos-they will have tons of great memories to share with their own kids and will keep passing the faith down the line! Awesome! How were those large hearts done, it looks like paint, or sprayed paint, or water paint? Yes, Jessica, I use you like my idea books, I can't do everything you do, but I can pick some of the things and do them! You are amazing! Fun, fun fun!! Happy Feast, it looks like a beautiful day. The painted hearts are just awesome! looks like fun, as usual. Thanks for sharing! I searched everwhere for a coloring page and found exactly what I wanted here! Thank you SO MUCH! It is so much fun!! My kids love it! Marci is so creative and so gifted at these get togethers. The kids learn so much. How sweet! This is a great idea, Jessica. I think I will do this with my children at some point this June.